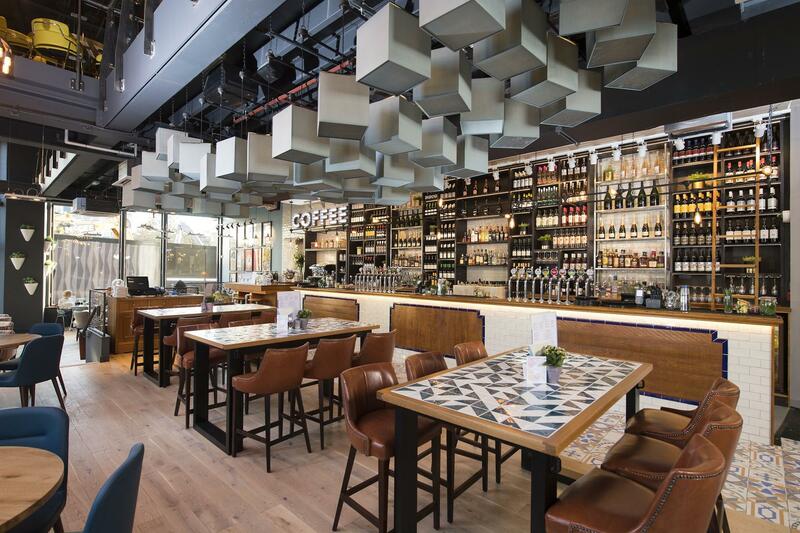 Both a location the decor will stun - available for private venue hire on London's Leicester Square. 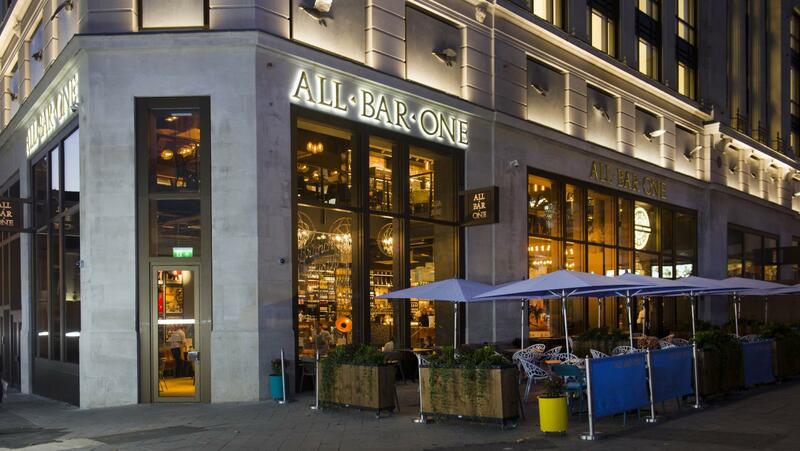 All Bar One Leicester Square is a stylish city bar where you can catch up with friends, unwind after work or simply find a sophisticated space to indulge in an excellent selection of food and drink. Packed full of colourful, delicious dishes our food menu includes light lunches, globally inspired mains and small plates that are perfect to share. 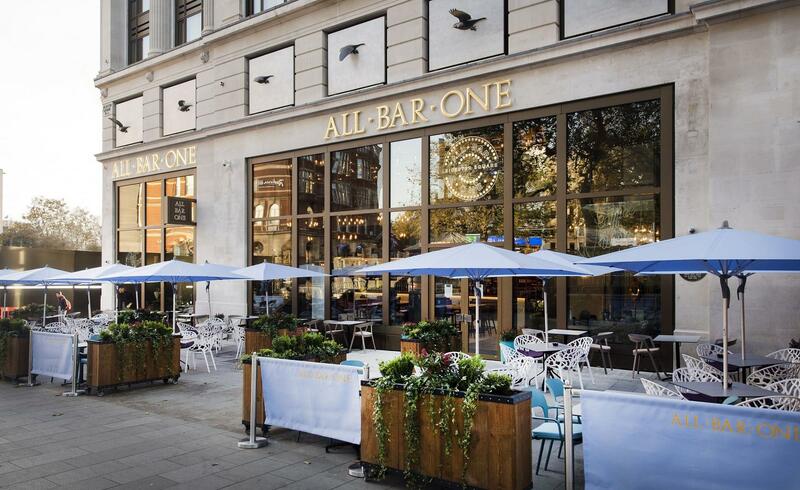 Enjoy our expertly crafted cocktails and hand-selected wines – our team will always make sure you’ll always find a glass of the good stuff at All Bar One Leicester Square. Our Mezzanine upstairs area is for a capacity of up to 120 people, with both seating and standing areas with a full bar. Decor is eye-catching with a great atmosphere of colourful furnishings and interesting lighting features. Can be used for all events as it's a versatile space - a private birthday party, a company conference, a charity fundraiser event or a glamorous after screening film premiere party... the possibilities are endless! Our whole venue is for a capacity of up to 320 people inside and an outside space of up to 90 people. 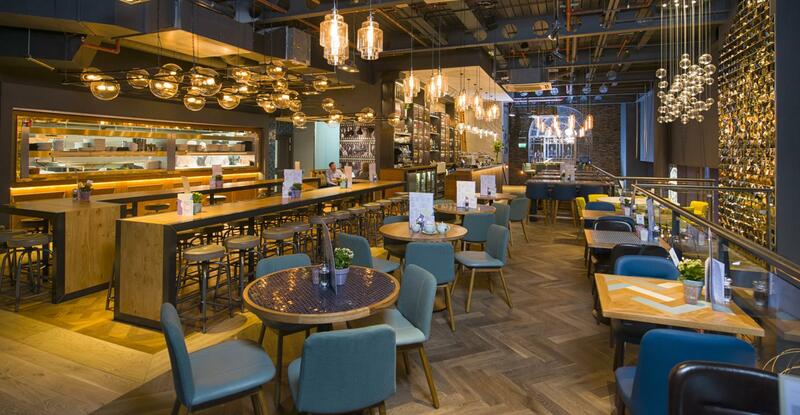 Set across two floors, our venue has space for both seating and standing parties with two full bars and a kitchen. We also have a large outdoor patio area which seats up to 90 people. Our decor throughout, is eye-catching with a great atmosphere of colourful furnishings and interesting lighting features. We can be used for all events as we boast versatile space whether it be for a private birthday party, a company conference, a charity fundraiser event or a glamorous after screening film premiere party... the possibilities are endless!